The 22,000-seat stadium’s bowl is the tightest to the pitch and the steepest cantilevered seating bowl in the MLS, with expandability for special events. In an era of 24/7 entertainment, it’s no longer enough for sports arenas to simply rely on game-day revenue and lie dormant in the off-season. 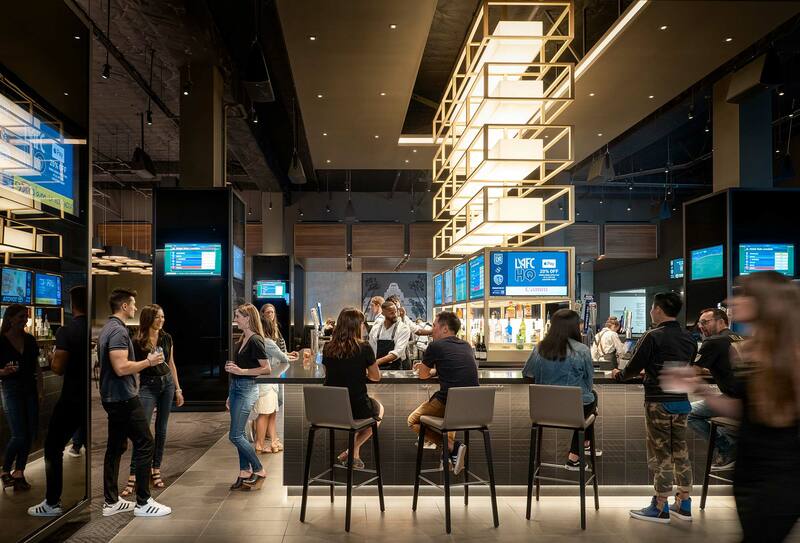 Today, the modern sports arena is a lively retail and hospitality destination for fans, and a major selling point for players. 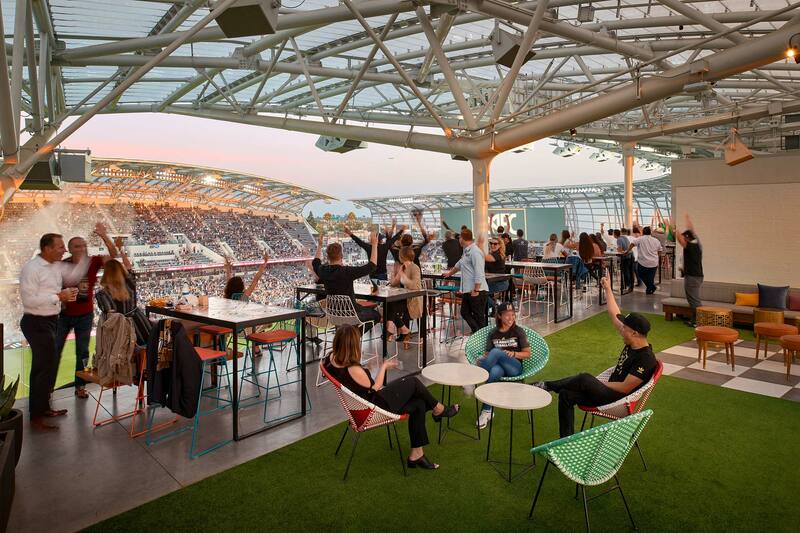 Exemplifying this global trend by setting a new benchmark for the premium Major League Soccer (MLS) experience, Los Angeles’ Banc of California Stadium creates a year-round destination that is active on non-game days, rather than being simply a sports venue. 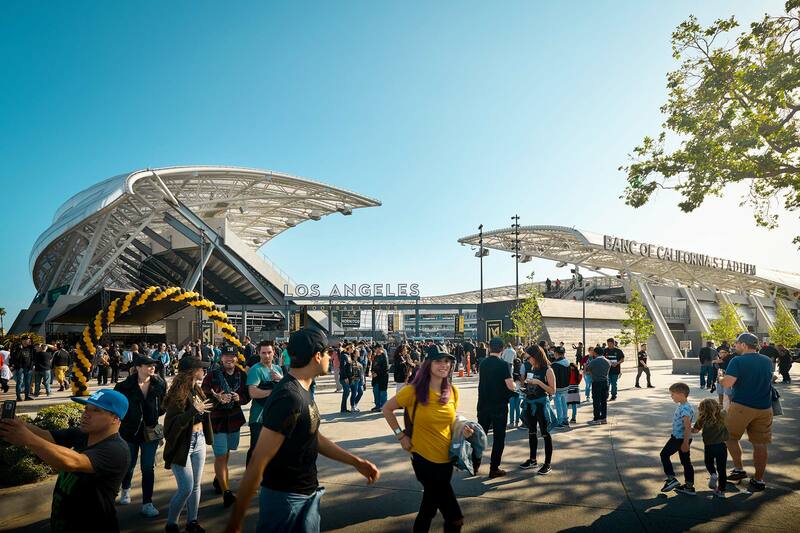 A European-style soccer experience for the league’s latest expansion team, the Los Angeles Football Club (LAFC), gets fans closer to the action. The stadium’s 22,000-seat bowl is closer to the field than any other in MLS, with expandability for special events. Field-level boxes, private suites, clubs, rooftop lounges, and a 360-degree concourse yield a compelling fan experience for every price point. 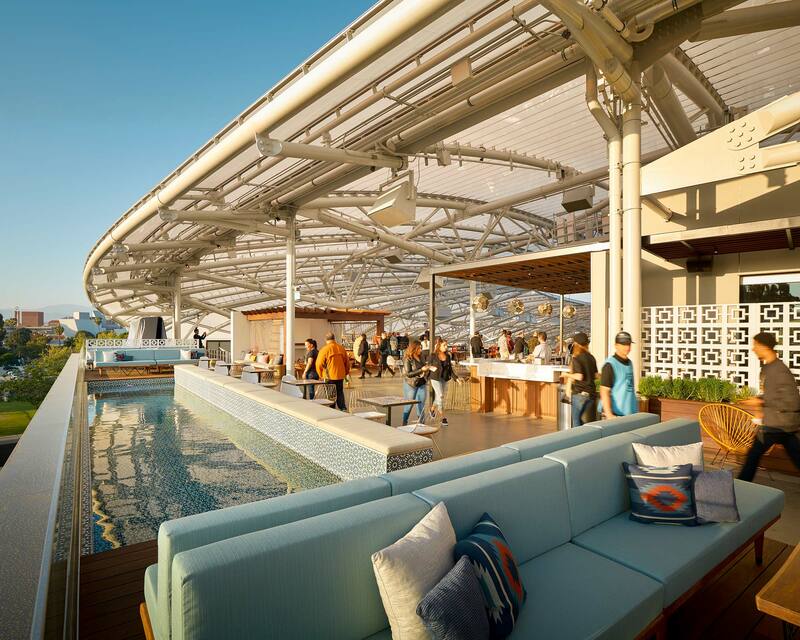 The stadium anchors the larger complex in Exposition Park that includes a restaurant, food hall, team store, rentable private party terrace, and bar. The stadium extends its use beyond game day with these ancillary elements. The new facility serves as an anchor and city catalyst, promoting economic development in the region. Ron Turner is a Sports & Convention Centers Leader, based in Gensler's Los Angeles office.